Just reunited with Bobbie Shaw Chance, the cutest ‘Beach Bunny’ of them all! 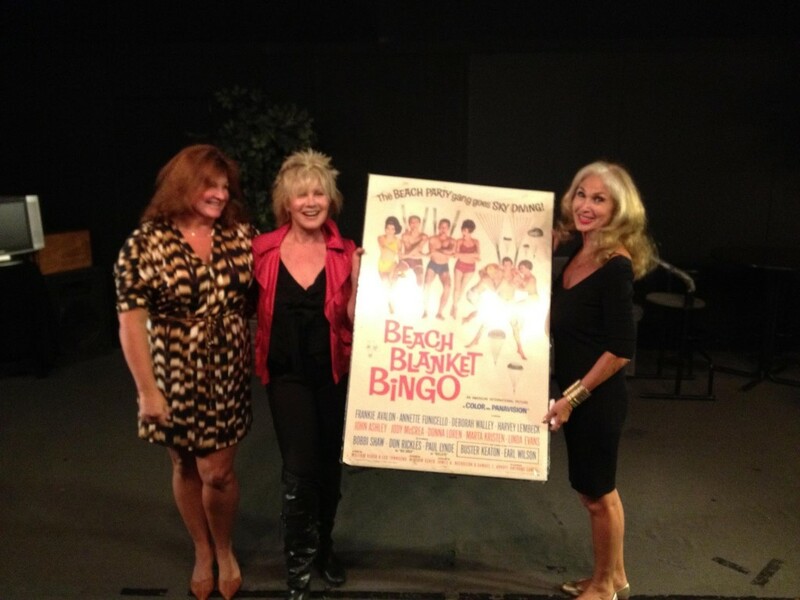 Here we are at her acting studio with Shauna McClure (left), Doug ‘The Virginian’ McClure’s daughter, being presented with an original Beach Blanket Bingo poster signed by both of us. It’s going to Bobbie’s favorite charity, Free Arts For Abused Children. The famous names that have passed through her studio and received her coaching include Drew Barrymore, Brad Pitt and Scarlett Johansson. Hummm….Frankie last year, Bobbie this year….Can anybody say “Back To The Beach II”? We have lost a few of you over the years so it will never be the same but I would love to see you all at the beach one more time. Now that’s a reunion worth celebrating. And for such a great charity.